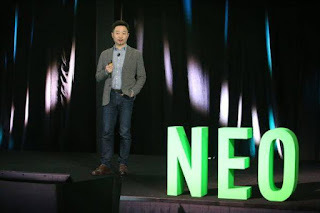 NEO’s 2019 DevCon event in Seattle started off with a bang when the company’s Co-Founder, Da Hongfei, opened the event with a speech focused on the promise of the smart economy, and shared his views on how NEO will help guide the world towards a new, tech-based, future. Importantly, Hongfei expressed an ardent belief that the smart economy is much more than a simple movement within the financial ecosystem and will ultimately prove to be the next stage in world economic development, moving the world away from an industrial-based economy and towards a digitally-based one. What is the Smart Economy? 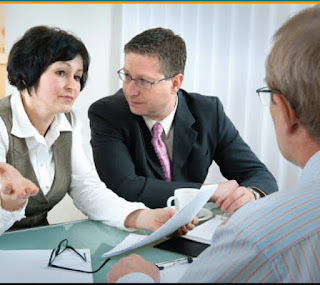 Throughout history, there have been multiple stages of economic development that have guided most countries towards their current economic status. Hongfei believes that a “smart economy” will be the next evolutionary stage of economics that pulls the world away from an industry-based economy and towards a digitally-based one. During his speech, the NEO co-founder explained that the smart economy will be fully digital, programable, and interoperable. Blockchain and distributed ledger technology (DLT) will undoubtedly play a large role in this hypothesized new global economic system but will also offer participants of this new economy another key benefit: decentralization. Within this brave new economic system that Hongfei postulates will proceed that which we are currently in, its decentralized nature will lead to significantly greater transparency and inclusion within not only financial systems, but also within society in general. Furthermore, Hongfei noted that within the smart economy, its decentralized nature will also allow for greater freedom within all markets, and smaller governments. Naturally, Hongfei believes that NEO will provide a solid base for this new economy to be built upon, as the network encourages multiple projects in a wide range of industries to build services and products that can offer benefits from everyone ranging from venture capitalists to potato farmers. Hongfei and fellow NEO co-founder, Erik Zhang, also released more details about NEO 3.0 during the DevCon event, which they hope will help to ultimately propel NEO to become the number one blockchain in the world by 2020, and to help usher in the new era of the smart economy. NEO 3.0 – which may take up to one and a half years to be fully implemented – will offer multiple benefits to the network, including upgrades to the architecture of NEO, add support for layer two and sharding solutions, and offer greater incentives in an order to optimize on-chain governance solutions, while also increasing the network’s security. If projects and corporations across the globe continue turning to blockchain at a rapid rate in an effort to increase their operational efficiency, the world’s economic system may ultimately transition away from industrialism and towards the smart economy that Hongfei believes NEO will play a role in forming.